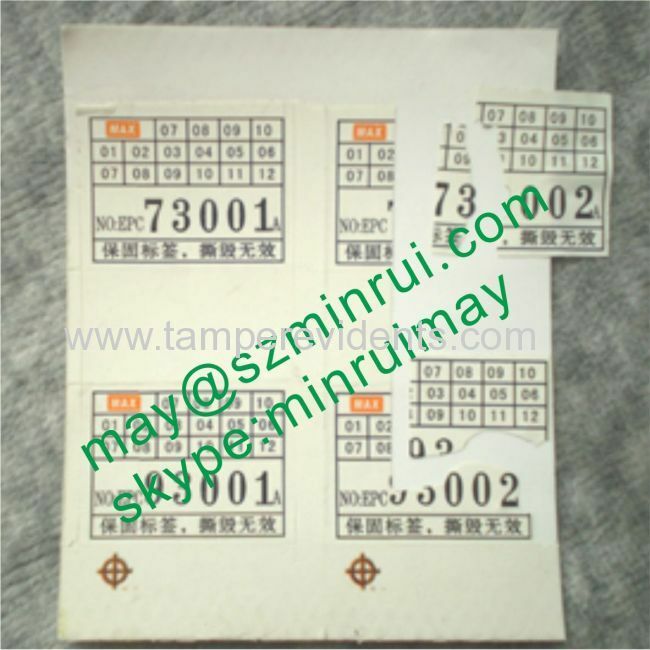 The pictuer above is Custom Date Warranty Sticker, it was made from Minrui Adhesive Products Co., which is a professional manufacturer of Ultra Destructible Vinyl Material that is located in Shenzhen Baoan Xixiang. 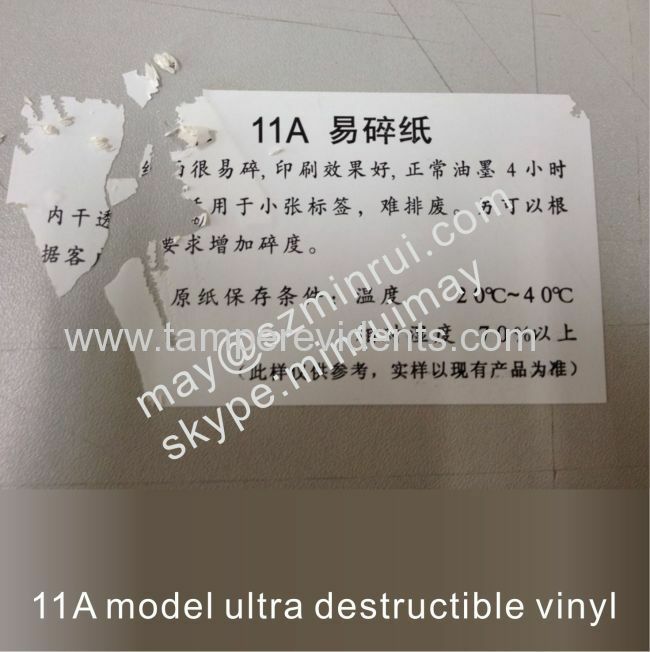 11A Ultra Desrtuctible Label Papers: it is easiest type Destructible label paper that hard to remove. 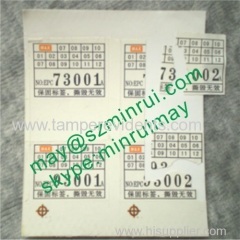 Its facestock thickness is 0.99mm for small labels. Good Printing Effect. Ink can be dried out wthin 4 hours. Also, the fragility can be enhanced according to customers' need. 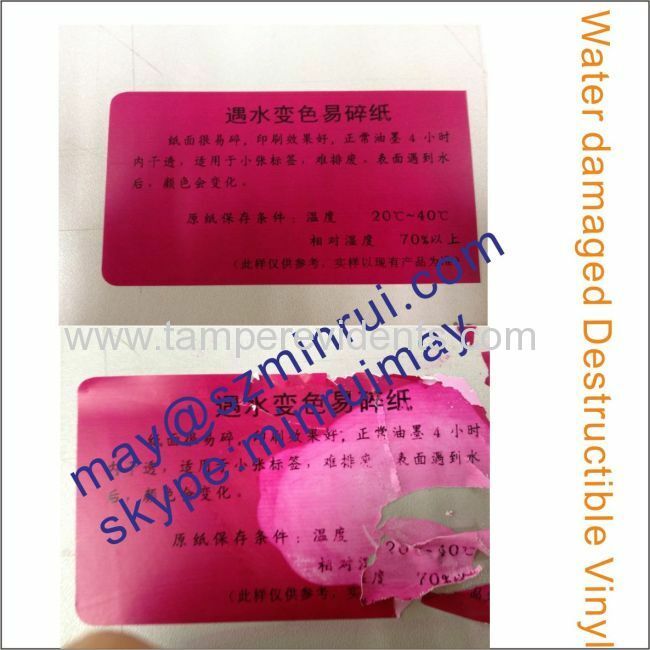 Water damaged Destructible Sticker, it is a high security destructible vinyl. This type of label paper has conbined two security characteristics which includ water damaged and tamper evident. It is color-fade when it runs into water. 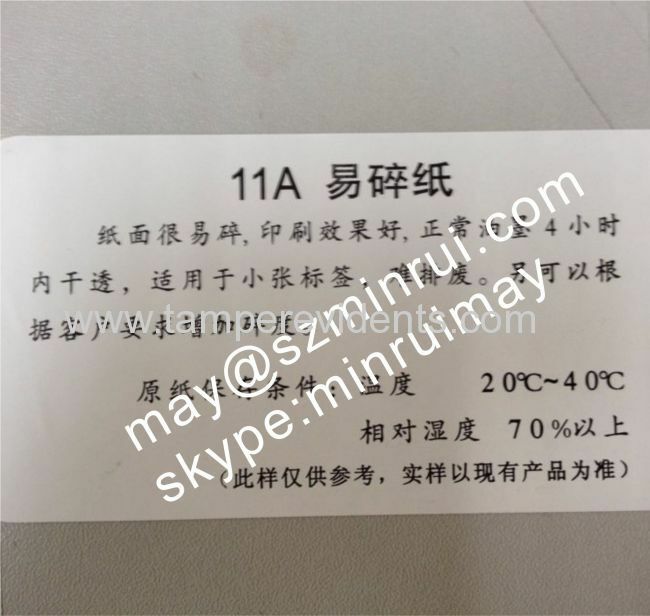 If you have any question or want to customize your own style label sticker, feel free to contact our company, there is an email address above on the pictures. Welcome to our website !What can I do for you?